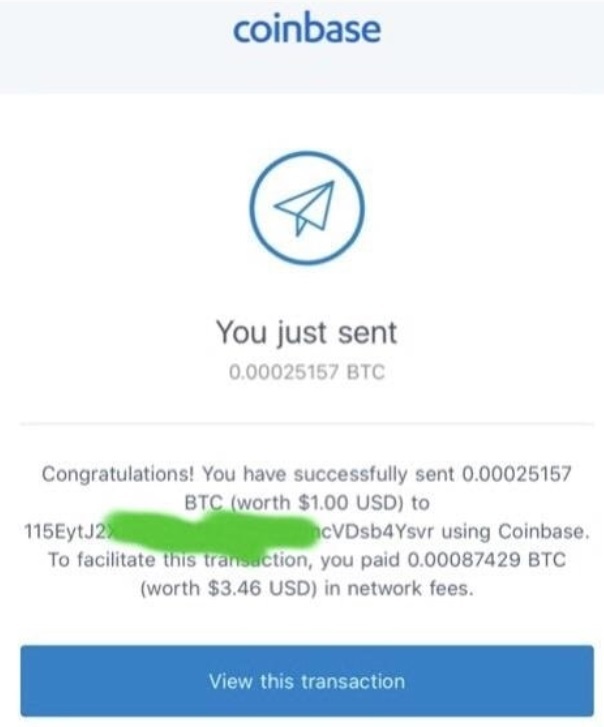 It might be difficult for you to see, but underneath the green highlight blocking out the wallet address, you can see that the user paid a Bitcoin network fee of $3.46 for a coffee costing $1.00. This is a very dramatic but real example of why, as a general rule, native Bitcoin transactions are not suited for micropayments. In fact, the only way that Bitcoin or other crypto-currencies can economically process small transactions are by using overlays like the Lightning network that consolidate transactions to share in the high network cost. So Who Processes Micropayments Now? PayPal Micropayments is a platform that's been around for a few years, and it builds off of the usage by Ebay vendors for small transactions. "...if you receive money for goods or services (such as from selling an item on eBay), the fee for each transaction is 2.9% plus $0.30 USD of the amount you receive." When it comes to PayPal Micropayments, however, the fee structure is built on the concept of giving a vendor the ability to pay the processing fee based more on a percentage of the sale price rather than the flat processing fee. Can XRP Compete with PayPal Rates? Let's compare PayPal micropayments to the processing fee of processing a micropayment through the XRP Ledger using XRP payment channels. What is the Network Fee for XRP Payment Channel Transactions? The current minimum fee is listed as 10 drops, or .00001 XRP. 5 That's minimum per transaction. One other thing to keep in mind is that while this minimum network cost is low, it can also fluctuate upwards depending on network traffic. In periods of high usage, it might go up. This automatic adjustment of network fees makes it very expensive to deliberately or inadvertently overload the network. The Item Cost in our Example? 30 cents. If you were to use PayPal micropayments to process a transaction that small, it would result in PayPal fees of approximately 6.5 cents. (5 cents plus 5 % of price). That results in a transaction cost that is 22 % of the purchase price. The price of the item doesn't matter to XRP Payment Channels; our 30 cent item would result in a flat transaction cost of $0.0000022, or basically an undetectable percentage of the item price. 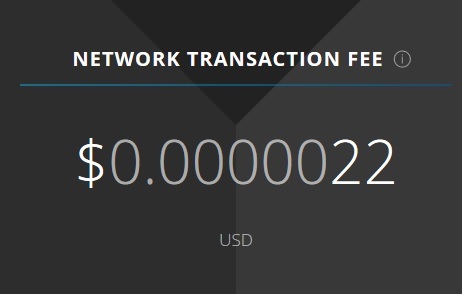 So we know that the network fee can beat PayPal easily. Keep in mind, however, that any actual service provider using the XRP Ledger may also layer other charges for providing services such as returns, insurance, and other items, but you can see clearly that PayPal could face serious competition in this market. Another problem that micropayments platforms have encountered is the ability to scale for increased usage. While these applications are impressive in their ability to streamline the user experience and enable peer-to-peer payments, payment for any services or items using existing payment rails will necessitate high transaction fees, making these payments economically infeasible. The first financial institution or payment service to integrate XRP Payment Channels is going to have a substantial advantage when it comes to mircopayments. Maybe PayPal will integrate with the XRP Ledger or perhaps a new competitor will arise in the micropayment landscape to compete with them head-to-head!